The Range Operations and Training Office is located in Building 930. For information please stop by or call 614-336-6245. 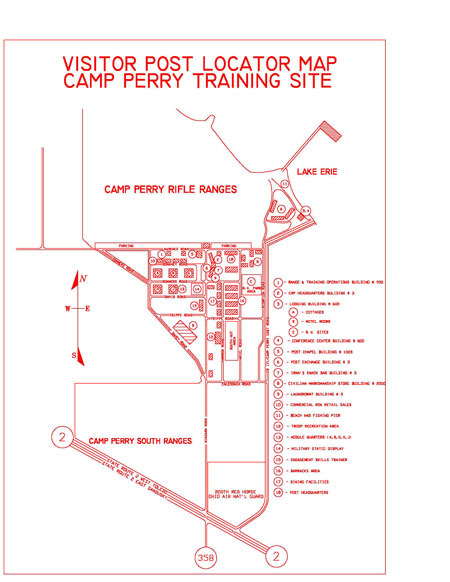 The Civilian Marksmanship Program Office is located in Building 3. For information on competitions and the National Matches please stop by out office or call 888-267-0796. For rental or service information on the Chapel, please stop by the Lodging Office located in Building 600 or call 614-336-6218. Commercial Row Retail Sales where you can purchase firearms, sporting supplies, etc, operates during the National Matches in July and August. For more information please call 614-336-6218. 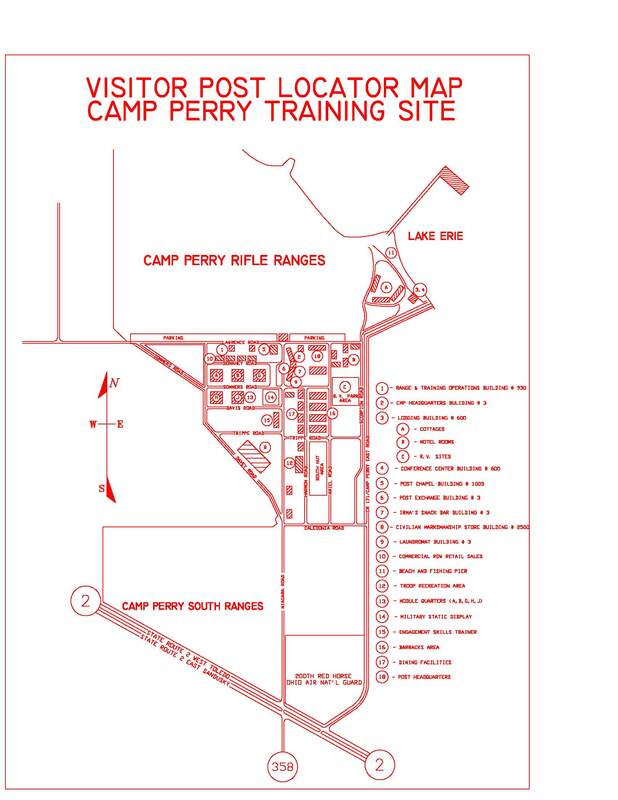 The swimming area and fishing pier are located on the north end of Camp Perry, beside the Conference Center. These areas are open dawn to dusk unless otherwise posted. Rules for the use of these areas are posted along the front of the beach and at pier entrance. Logistics / Troop Recreation Area is a picnic shelter near the south huts. To schedule the use of this facility, please contact Logistics Office at 614-336-6213.